Publishers: Samrakshan Trust, Title Trust, and Indian Foundation for Butterflies. Number of species accounts: 324. 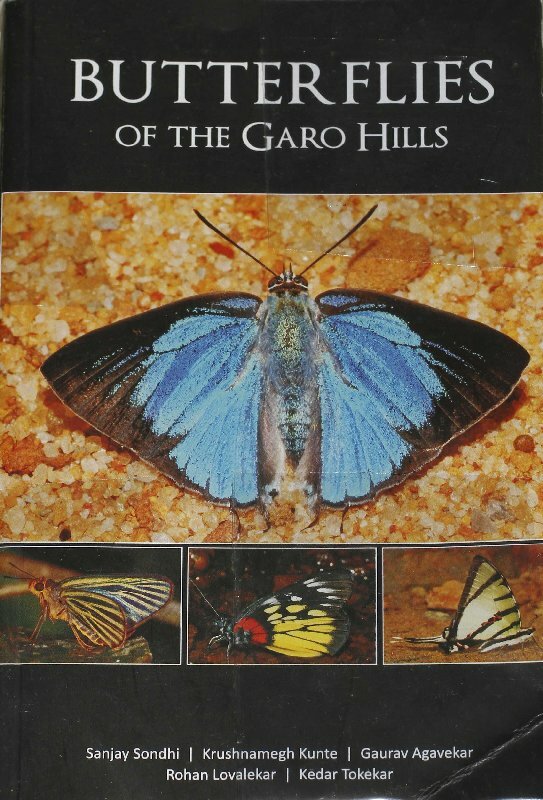 This is out of the 339 species that had been recorded from the Garo Hills at the time of finalizing the book in March 2013. The missing species are certain Swifts and other Hesperiids that cannot be easily identified in the field. Token price: Rs. 500 (Rs. five hundred), plus shipping costs. 20% discount on orders of six copies or more. Samrakshan Trust, Baghmara (Meghalaya): Kamal Medhi (balpakram@gmail.com, 8974-986-223) and Yaranajit Deka (yaranajit.samrakshan@gmail.com, 9402-396-570). Their phones often do not work, so it is best to contact them by email. Sanjay Sondhi, Dehradun: sanjay.sondhi1@gmail.com, 9412-052-189. Kedar Tokekar, Pune: tokekark@yahoo.co.in, 9970-167-351. Krushnamegh Kunte, Bengaluru (=Bangalore): krushnamegh@ncbs.res.in, krushnamegh@ifoundbutterflies.org, (080) 2366-6085 (office), -6086 (lab), 9483-525-925 (mobile). Please note that the book has been published with generous and full funding from the India Foundation and the Forests and Environment Department, Government of Meghalaya. The authors have decided not to take any royalty and the publishers have decided not to make any money on this book. However, we are selling this book for the token price of Rs. 500, with the understanding that all the proceeds from the sale of this book will go to the Garo tribes in the South Garo Hills District of Meghalaya, where we have worked in the past and continue our research. Through the sale of this book we are trying to help Samrakshan Trust generate alternative source of revenue for the Garos from the very biodiverse forests that they hold. Samrakshan Trust has been doing this for several years in various ways to encourage the Garos to keep their forests rather than turn them over to illegal coal miners. Part of this effort is butterfly tourism in the Garo Hills, about which Yaranajit, Kamal or Sanjay can tell you more. As we have started using iNaturalist projects for posting our records, there is an interest in understanding how to use it effectively. 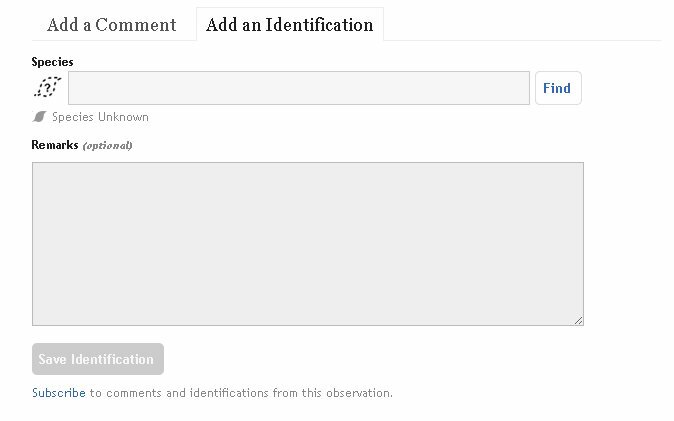 or Add an Identification tab at bottom. 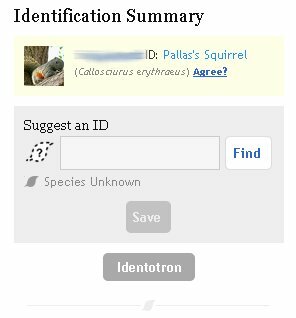 Once there, enter the name preferably scientific name of the organism in species box and click find. Website will display possible names. Pick the correct one and select save button bellow it. To change the identification follow the same steps, and the new identification will be saved accordingly. In case you do not find the right name on clicking Find try using Search external name providers right above Save button. If the species page is already not available on the website, we can use this option. Use add a comment to appreciate the photographs or to ask questions and clarifications. The goal of this record creation is to get more and more Research Grade observations at best taxonomic level possible. If you have any questions, feel free to ask on DiversityIndia groups or leave a comment here.